All of this grease and sweat calls an end-of-summer celebration: Beer City Bike Fest, a free bike carnival and music festival will be held on Saturday, August 26, 2017 at The Spoke Folks from 12 p.m.-10 p.m. It's been a great summer at the Spoke Folks! 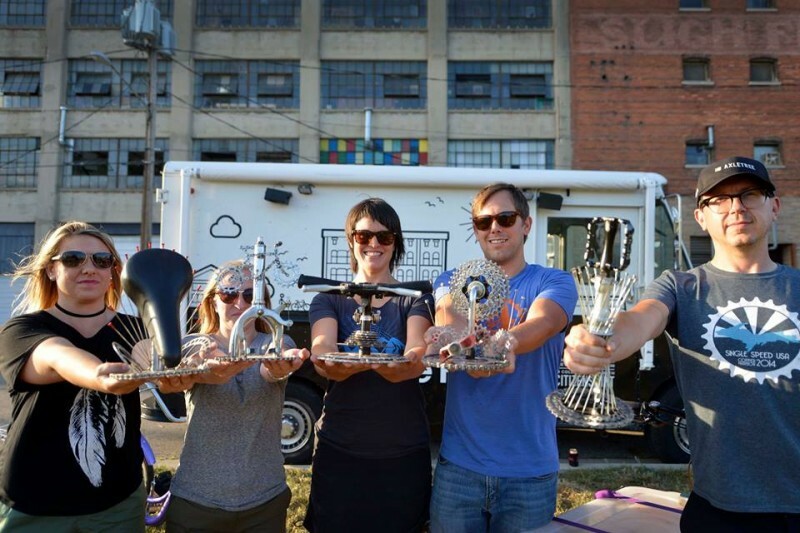 Grand Rapids' only community, non-profit bike coop has been keeping people rolling with extended shop hours, a mobile bike repair unit, and dozens of events around the city. 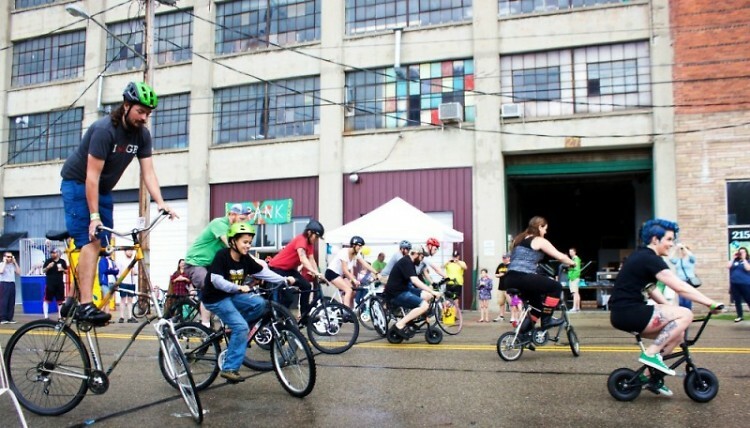 All of this grease and sweat calls an end-of-summer celebration: Beer City Bike Fest, a free bike carnival and music festival will be held on Saturday, August 26, 2017 at The Spoke Folks from 12 p.m.-10 p.m. This is the organization's biggest fundraising event of the year: all proceeds will directly benefit the mission of making sure everyone has access to a safe, affordable bike and the knowledge and tools to maintain it. Beer City Bike Fest is a combination of the two summer festival events, Crank and Music for Miles, held for the past few years at the shop in Spring and late Summer. Community Outreach Director Martel Posey explains that "This year is different because we have consolidated our fundraising to be more efficient and we have awesome community partners to help us with organizing our fundraising." Beer City Bike Fest is meant to bring together the best of both former events and create a day-long party the whole community can enjoy. A variety of races, a Kid's Tent and Parade, and a dunk tank are in store for the first half of the day. 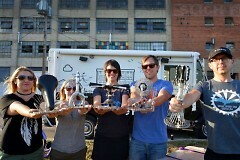 Race winners will receive unique trophies made from recycled bike parts by a local artist. A day-long raffle will feature prizes donated by local businesses, including a brand new bike from Freewheeler Bike Shop! At 4 p.m. a performance by Bangarang Circus will mark the start of a live music lineup featuring Jesse Ray and the Carolina Catfish, Bike Tuff, Lady Ace Boogie, and many more beloved local acts. Eight taps from Creston Brewery, Brewery Vivant, and Vander Mill will be poured all day and Pizza Parliament, Love's Ice Cream, and Mosby's Popcorn will keep folks fed. "Showing up to Beer City Bike Fest will help The Spoke Folks with all the work that we have done this year and need to do in 2018," said Posey. More information can be found at spokefolks.org.